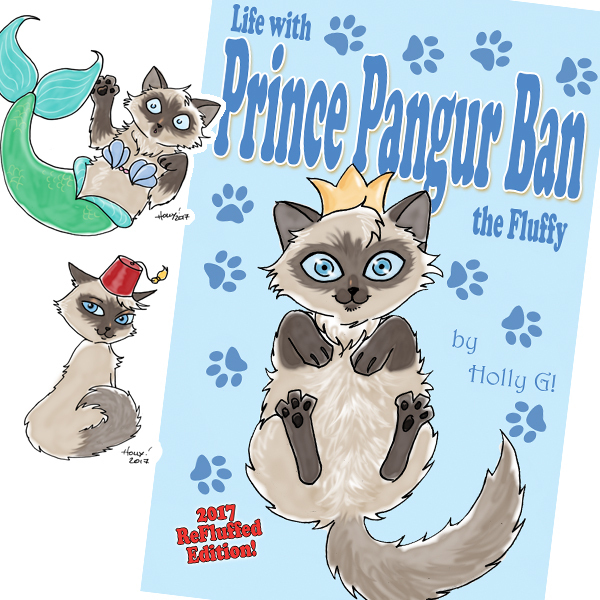 Prince Pangur Ban the Fluffy: 2017 ReFluffed Edition! So I shared on my webcomic page what life with this wonderful, silly puff of fluff added to our lives, I've love to collect all those comic strips I did from 2011 to 2015 and this 2017 edition has some new content. This is a comicbook size, 128 page, full color perfect bound paperback! Want the Pangur Stickers? Do the $5 Add on.